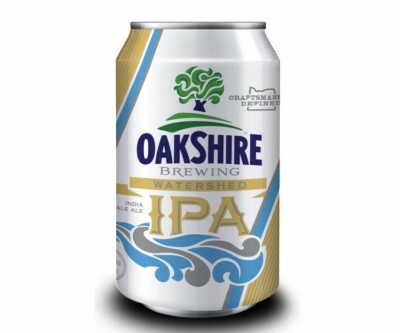 EUGENE, OR (March 8th, 2013) – Oakshire Brewing is proud to announce that 1% of Watershed IPA sales revenue will be set aside for the protection of local watersheds in the territories where the beer is sold. Local land conservation group, the McKenzie River Trust, will be the first recipient of this source water protection program. “Our mission is to brew the highest quality beer while providing exceptional service to our customers. We cannot achieve either of these goals without the highest quality ingredients” says Oakshire Founder Jeff Althouse. “We established a partnership with the McKenzie River Trust in 2011, and quickly realized we wanted to do more to protect our brewing source water.” In 2011 Oakshire Brewing donated the proceeds from three Single Batch beers: Greenpower Pale Ale, Land Trust Lager and Skookumchuck Wild Ale as part of EWEB’s 100th anniversary celebration. Clean water is essential to the brewing process and is a focus point of the Oakshire Brewing community. Eugene was chosen as Oakshire’s location in part due to the accessibility of clean, soft water from the McKenzie River. Beginning January 1st, 2013, 1% of revenue from Watershed IPA sales in the Southern Willamette Valley will be directed to the McKenzie River Trust. This includes all Watershed IPA packages ranging from the 22oz bottles to 12 ounce/6-pack cans, as well as draft Watershed IPA on tap throughout the Northwest and kegs purchased by local businesses. “It makes us very proud to have again earned Oakshire’s support. The 1% for Watersheds program demonstrates Oakshire’s ongoing commitment to clean water and healthy watersheds, something that benefits our entire community,” said Joe Moll, Executive Director of the McKenzie River Trust. McKenzie River Trust is committed to a future in which intact, functioning ecosystems provide clean water, abundant fish and wildlife, and productive natural landscapes throughout western Oregon. Oakshire Brewing is honored to support their mission with the 1% for Watersheds source water protection program. If you’d like more information about this topic, or to schedule an interview Oakshire, please call Amanda Pence at 541.688.4555, ext. 16, or email amanda@oakbrew.com. At the McKenzie River Trust: Joe Moll, Executive Director 541-345-2799 or jmoll@mckenzieriver.org.